The competition for niche in-demand skills is intense. Our intelligent, progressive recruitment process outsourcing solutions help you to differentiate your brand in the market and stand out from the crowd. We understand the psychology of how people engage with organisations and the process of building an emotional relationship with your audience through every touch point with your brand. Whilst this psychology has never been more complex, it’s equally never been more critical. 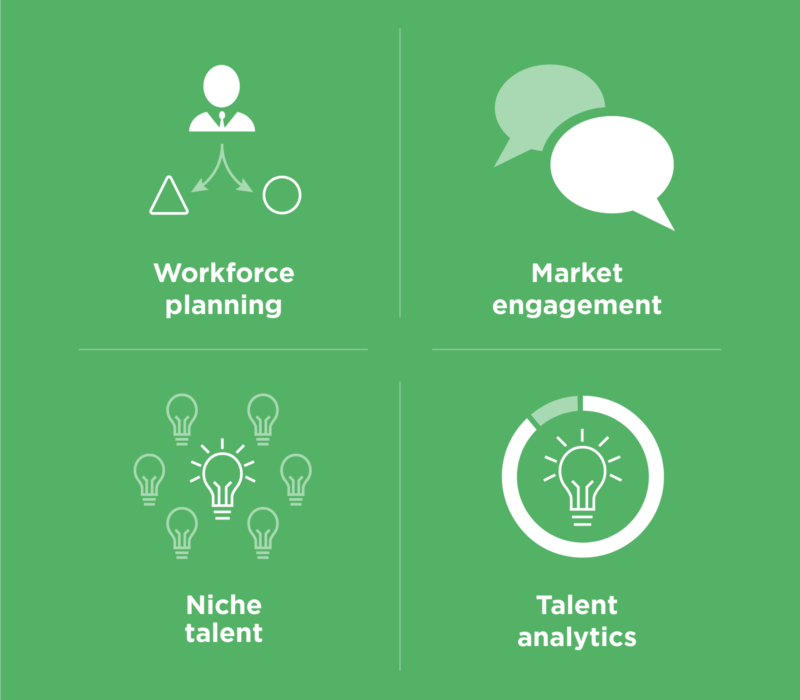 Through an RPO solution that delivers expert analysis of your HR and marketing data, we can help you to design and execute a strategic plan that will build engagement among your target passive audience. Given that 79% of social media users follow organizations for job opportunities, through the use of creative content, we’ll be able to turn these robust talent communities into prospective candidates that are genuinely interested in and engaged with your brand. RPO solutions, in their many different forms, will solve an array of recruitment challenges and objectives. Whether you need a project-based RPO or an end-to-end talent management solution, we’ll work with you to build a bespoke, responsive RPO that delivers optimal hiring results across your business. 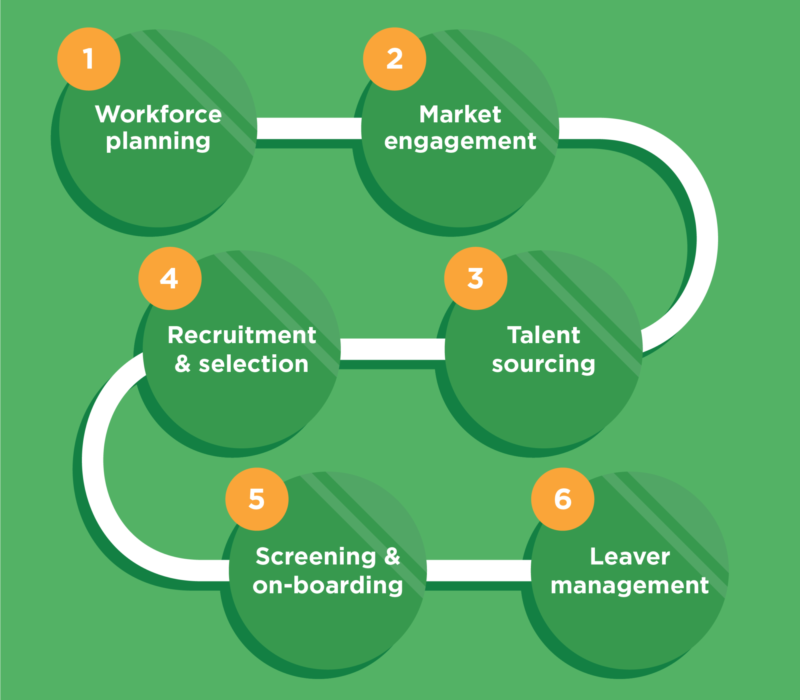 Solutions will drive efficiency through every stage of the recruitment process. We’ll help you to improve market perceptions of your brand and build robust talent pipelines to meet current and future talent needs. We’ll also work with you to develop a responsive internal mobility strategy that enables you to make the most of the skills within your own workforce. Together, we’ll help your business to stand out from the crowd so that you can delve deeper into the passive talent market to discover the professionals that escape your competitors but will secure your own competitive advantage.